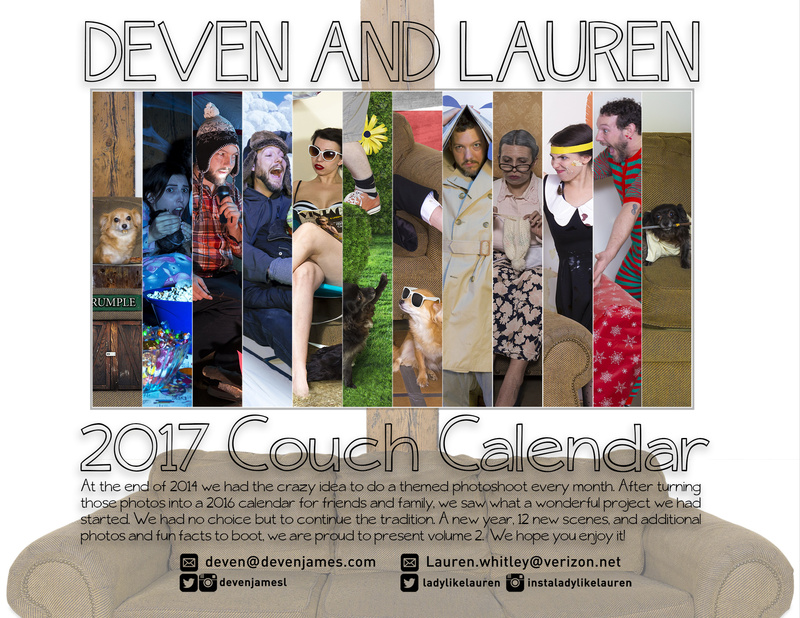 Deven and Lauren’s 2017 Calendar is here! We’ve gone back to the couch for another round of monthly calendar photos. Available now for the first time, twelve brand new never-before-seen photos packed into one awesome wall calendar! If you like looking at us in person, you can have the next-best thing! Never feel alone again, let Deven and Lauren’s likeness comfort you all year long. For just $10, this amazing product can be yours.